Black and white photograph taken on the Saltley Canal. 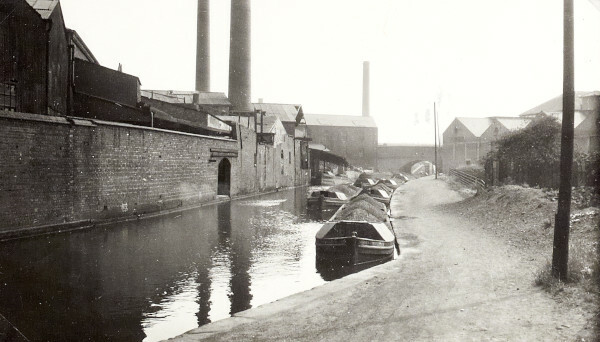 Taken from the side of the canal, shows several loaded day boats on the right of the photograph and several industrial buildings and chimneys backing onto the canal. This photograph is on page 106 of the C N Hadlow photograph album.